Dr. Amanda Boltwood’s dental practice is here to provide full dental care for your family. From first dental visits for our youngest patients, to diagnosing and treating complex dental cases, Dr. Boltwood is here for you! Dr. Amanda Boltwood and her staff are here to provide you with excellent dental care. We would be happy to see you and your family at the office. From Dr. Boltwood’s gentle care, to our hygienists who help you maintain your oral health, to our knowledgeable front desk staff, we all work together for you! 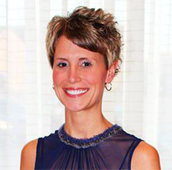 Amanda Brianne Boltwood, D.D.S., was born and raised in Rochester Hills. She went to Holy Family Regional School in Rochester for elementary and Detroit Country Day School for middle and upper school.